Brigadier-General Aziz said the Prime Minister had started a new political path for the nation, which was totally different from what the nation had experienced from past governments. He said after the takeover in 2006, the Bainimarama-led Government had to attend to some sad issues from the past. Promises, he said, had been made by politicians as a way to win quick votes, but it was rather sad that these votes were never translated into meaningful change. The RFMF’s chief of staff said another issue which the Government had worked on was land. However, he said very little was done compared to what’s being done by the current Government. The Prime Minister had introduced land reforms and with these reforms more land was made available on new favourable terms and conditions. Land reform is a priority for the development of the resource-based sector which will be mutually beneficial for both the landlords and tenants. 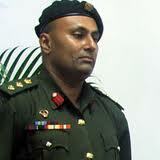 Brigadier-General Aziz says one of the objectives of the reforms now in place is to eradicate abuse and corruption. The way forward for Fiji, he says, is for the Government to hear people’s concerns and act positively. Now, he said, past politicians were ganging up and making criticisms against the Government. He said the RFMF would work with the Prime Minister to see that he retains leadership after the 2014 elections. He urged members of the public to join the military in supporting the Prime Minister in his bid to lead the nation in 2014. There can be no doubt that events starting with 2006 takeover of the Qarase Government and, along the way, purportedly abrogating the 1997 Constitution set in train a number of subsequent revolutionary actions that introduced a new direction for Fiji. Two specific innovations come to mind- race-based politics and law to be a thing of the past; and the indigenous traditional chiefly structure being forced to become more transparent. Both these innovations could not have been introduced without an authoritarian (some might say ‘left of centre’) regime. There can be no objections to these changes but without military authority they could not have taken place. This is because fundamental changes that are sometimes required in a society are beyond democratic processes, especially in a situation where there has been past tyranny of the majority and blatant abuse of minority groups. The 1990 Constitution was an objectionable piece of law but the one thing that it did provide was a national responsibility and duty for the military to look after the welfare of all the people of Fiji, not just a privileged few. In 2000 the military undertook this duty well; how Speight was finally brought to justice even after the Muanikau Accord was truly a remarkable (and legal) strategic act by the military led at the time by Bainimarama. In my view Bainimarama is a very compassionate and smart person. But he is not a lawyer and sometimes his government legal advisers fail him as everyone has figured out by now. The government’s draft constitution is a good example of this failure. Because there have been such failings in the law since 2009 Bainimarama’s personal popularity has suffered. The question that he has to ask himself is this: if he wants to carry on with his projects to reform and revolutionize Fiji as he originally planned, how will he gain national support to become an elected populist leader and not one people follow only out of sheer terror or because they want to gain personal economic or political advantage? Brigadier General Aziz, who is a lawyer and a good one, should put his mind to that question- it will be the combination of legal acumen and public relations, and not military support, that will allow Bainimarama to finish what he started in the public interest.